Here’s a cool DIY lantern some crafty Instructables user created. 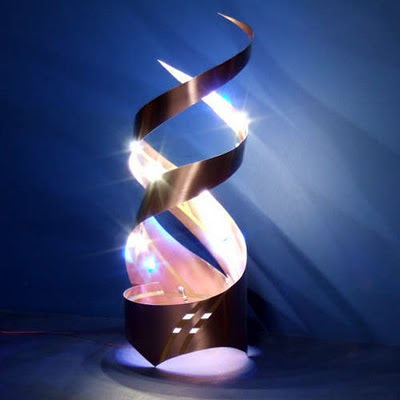 The interesting thing about this lantern is that it’s not just a pair of curved metal pieces surrounding an LED light in the middle as you’d expect but it’s actual made from curved circuits that are attached to the curving helix pieces themselves. Actually its a vinyl shelf liner with circuit boards attached to the inside. The net effect is a very cool and lightweight lantern that can be he hung upside down from a wire if you want.